A beautiful photograph. Very well made with a nice frame. Congratulations, lan Hauge Christensen. Skal vi saa se og faa ryddet op ?? Oh dear...I hope it isn`t oil in them!! Superb shot Alan...Well seen and well taken. A very interesting shot that poses many questions. Nice composition and activity with great details. 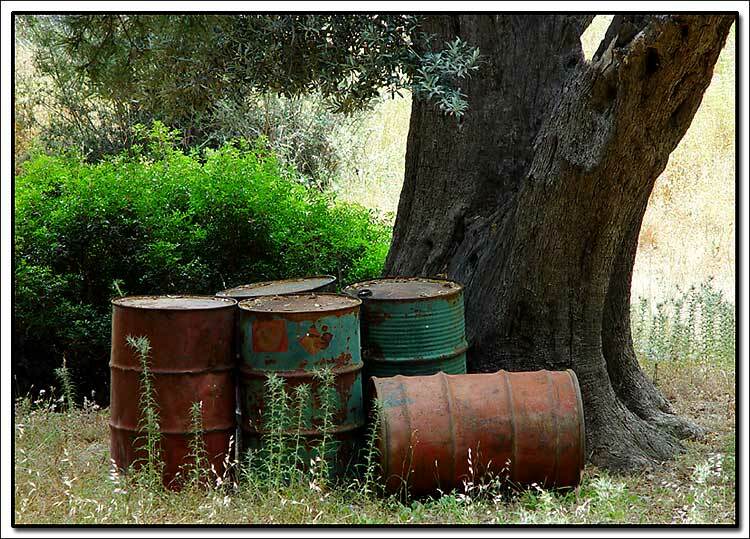 I like the mood, and the way these barrels seemed to be placed at the feet of this magnificent tree while nature is silently embracing them.